My Account – LA Double 7, Inc. This site is not open to the public. 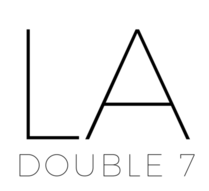 Registration to LADouble7.com is free, but additional documents will be required to gain full access to its contents. Please note that LADouble7.com is for wholesale or chain-stores buyers only, and it functions exclusively as an online catalog archive of our products. Please email your Business License and/or Seller’s Permit to customerservice@ladouble7.com, or contact us if you have any questions. Individual accounts are reviewed after having received the required documents. Approval decisions will be sent vial the registered email. To receive news, notfications and access to many of our features. For free, of course.